If I try to imagine a time and scale (mass and size) for a first space shipyard mankind would build in next decades, how would it look like in a mostly realistic scenario? Ships I think of are more or less similar to what we do now, so say Falcon Heavy. So a shipyard would possibly include a steel factory and rocket factory as well as an assembly facility? So not being an engineer, is it something 1500mx10x10m? Date would be realistic 2050s to 2070s taking exponential pace of technology improvements? To-be place should be in space, not sure what is more realistic, LEO/GEO or an L point. Purpose is say the mission to habitate Mars with a million of people for the first city mentioned by Elon gets green light. I think their current idea is to test everything they would be sending to the Mars around the moon and then testing it or parts of it on the moon, if it is workable and can support humans long term on the moon, then it can do so on the trip to Mars and on Mars itself. I think the "first shipyard" won't be a shipyard as most would imagine, it'll be a station, where as parts arrive from Earth they are just assembled together while docked to this small station until its finished. and the station might be expanded to make room for the engineers to build it. This is a very very broad question and it wouldn't surprise me if it gets closed for that reason. However I'll take a stab at it. So far we haven't needed a shipyard because all our spacecraft are assembled on the ground. Equivalent to an inland drydock. If we want to send ships to mars or further, we're almost certainly going to need to assemble them in orbit from multiple sections. They'll be designed to clamp together like the ISS and be reinforced with structural supports afterwards. It might be beneficial in such a scenario to have a "Workshop" of sorts which can support the construction crews until the ships are ready to inhabit. Realistically it'd be worth having such a facility for safety reasons too as the construction environment is particularly dangerous. So in this scenario, the Shipyard would take the form of a single self-contained habitable module, likely a Skylab style facility, Any supplies required for the construction would be tethered to it externally, then the actual spacecraft would be constructed docked directly to it. 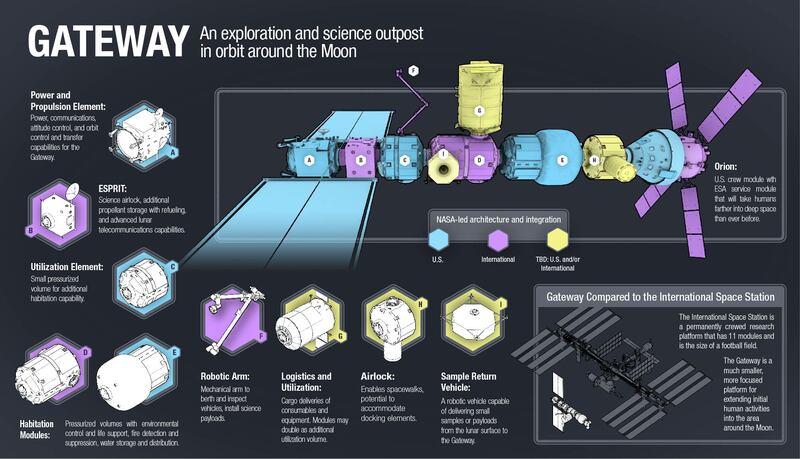 Practically if you're going to assemble something in orbit like this, you'll want a few things, Tele-operated arms similar to the Canadarm, most likely more than one of those. Perhaps some form of manned or unmanned "tug" for maneuvering the structural components and starship modules. Your workshop will need facility to manufacture tools and small components, the ISS currently has a 3D printer for this but you could upgrade that capability with actual machine-tooling for more robust parts. Practically, this early shipyard will be a small live-in workshop rather than a drydock, and it won't wrap around the ship like the ones in Star Trek, but I think it's the sort of thing you could expect in the next few decades. Not the answer you're looking for? Browse other questions tagged reality-check space near-future or ask your own question. How to create realistic space combat? Is it realistic to assume that globalization and technology could cause a united earth government in the far future?